Monterey, San Benito & Santa Cruz Counties, CA, March 17, 2019 – The CENTRAL COAST YMCA announces our Youth and Government delegation earned Delegation of Distinction for the state of California and advisor Lori Caldeira voted Outstanding Advisor. For the second year in a row, the Central Coast Salinas Valley delegation earned the prestigious title of Delegation of Distinction. This title is awarded to those delegations who show excellent commitment to the Y core values and who complete their program year with high levels of delegate engagement and success. The 2019 Central Coast YMCA Youth and Government Delegation consists of 28 delegation members and 4 Adult advisors. This year our Delegation had 6 students who achieved statewide level leadership positions in which there were over 3,500 program participants. Rising to statewide leadership implies exceptional demonstration of leadership skills within the program. Bill Topic for Central Coast Salinas Valley (CCSV) – An act to amend California Education Code regarding the body composition requirement of the Fitness Gram Physical Fitness test as it pertains to California Public School students. Our own local delegate: Xitlaali C. was asked to speak at the opening Joint Session event (attended by almost 4,000 people) to explain her role and our local delegation’s role in a Youth Voter Pre-Registration Drive. Our local delegation helped to register over 600 high school students to be able to vote when they turn 18. Program Year Highlights: Students attended two training conferences in Fresno before the culminating event in Sacramento. Students participated in social initiative programs to aid Veteran’s organizations and local homeless shelters. While our program year has ended for the season, we will start up again in August. Anyone interested in receiving more information about Youth & Government should send a request to be added to our email at centralcoastymcayouthandgovt@gmail.com. Or contact Amy Grames, Executive Vice President at 831-757-4633 or agrames@ymcacentralcoast.org. The Central Coast YMCA was formed in 1989 with the merger of two independent YMCAs: the Salinas Community YMCA (founded in 1921) and the Watsonville Family YMCA (founded in 1898). The YMCA of the Monterey Peninsula, which began as a USO in 1941, merged with the Central Coast YMCA in 1990. The South County YMCA became the fourth branch of the Central Coast YMCA in 1998 and the YMCA of San Benito County followed as the fifth branch in 1999. Today, the Central Coast YMCA employs 30 full-time and about 375 part-time employees whose goal is to serve approximately 30,000 people within Santa Cruz, San Benito and Monterey counties. In 1997, satellite sites were added in Hollister and Morgan Hill to augment offerings on the main campus. In 2008, land was purchased in Coyote Valley and San Benito County for the development of additional campuses. In 2017, Phase 1 of the Coyote Valley Center was completed, becoming Gavilan’s newest instructional site and the home for South Bay Public Safety Training Consortium police and fire academies. San Antonio, TX, USA, July 2, 2018 — New publishing and print options for authors are now available in the Mexican market. Hola Publishing International offers authors publishing and printing services with global distribution. 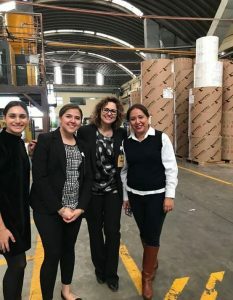 The growth of this affordable publishing option has been limited in the Mexico market because printers only offer their services directly to traditional publishers. By offering POD (Print on Demand) services, which are a rarity in Mexico, Hola’s goal is to encourage more writers to publish their stories. Authors and organizations no longer face the barrier of having to order 2,000 books. They can place smaller orders ranging from 25 to 1,000 books and receive global distribution to sell their books around the world. “The direction we are taking is to collaborate with the corporate world and working with large educational institutes. Printers here in Mexico have open arms about partnering with us to give our customer’s the best pricing and product,” says Umina. For more information about Hola Publishing, please visit www.holapublishing.com or call 55-5250-8519. Philadelphia, PA, USA, July 2, 2018 — Recently, thirty2give LLC launched a ground-breaking mobile application that enables anyone with a smartphone to find or become a mentor anywhere in the world. The new app—called thirty2give—creates a global framework for transferring knowledge by bringing virtual mentors and mentees together in public and private chat rooms for the sole purpose of sharing their expertise. The thirty2give app facilitates the virtual matchup of mentees with mentors based on a number of factors, including generation, gender, geography, nationality, industry and expertise. Here’s how it works: Mentors simply complete a profile describing their experience. Mentees complete a similar profile and create a request detailing the type of support they are seeking. Then the mentee can query the list of available mentors and request the person who best matches their specifications. Thereafter, the mentor and mentee can access a chat room where they can interact in private. With thirty2give, mentors and mentees can engage in a professional mentoring relationship that benefits both parties. Mentees can increase their productivity and performance, while mentors can receive an opportunity to give back, personal satisfaction and new ideas. Mentoring sessions involve two people giving each other 30 days of their time—which is how the app received its name. The 30-day commitment can be renewed if the mentee and mentor are satisfied with their relationship. The thirty2give application is distinctive because it goes beyond the traditional match-making model and uses an anonymous method to pair mentors and mentees. During the matching process, no real names are given, and the participants’ gender, color and ethnicity are never disclosed. Therefore, the app can be used by people who normally would suffer from the notoriety of exposing themselves, such as celebrities, politicians, and even individuals who have physical disabilities. This not only protects the identity of both the mentor and mentee, but it encourages the most successful people in society to reach back and share their knowledge and wisdom with others without worry about someone exploiting their fame for personal gain. “The result is a transfer of knowledge on an even playing field that is free of unconscious bias,” Cain said. The conceptual framework of the thirty2give app is based on the 1952 study by the Boston Symphony Orchestra’s use of a curtain to conduct blind auditions that shielded musicians from interviewers in an attempt to increase the recruitment of female artists. The interviewers’ evaluations were based solely on talent, resulting in an increase in the hiring rates of female musicians. Consequently, other symphonies began using the same tactic. Now thirty2give is using a similar strategy to benefit mentees and mentors who are taking advantage of its innovative application. The thirty2give virtual mentoring app is currently available for download on iTunes for iPhone and Google Play for Android. For more information, contact David Cain at (855) 250-2355 or visit www.thirty2give.com. Established in 2018, thirty2give LLC was founded by five professional executives who represent four different industries and each have more than 20 years of mentoring experience. The company, which is based in Philadelphia, Penn., was originated from the concept of “make the world better”. Its overriding goal is to support a disruptive virtual mentoring approach that contributes to the success of people all around the globe. Adelaide, South Australia, 2018-May-29 — /REAL TIME PRESS RELEASE/ — Chess is a universal activity that many individuals of all ages love to play. Not only does it stimulate the brain cells, but it also helps improve necessary skills. 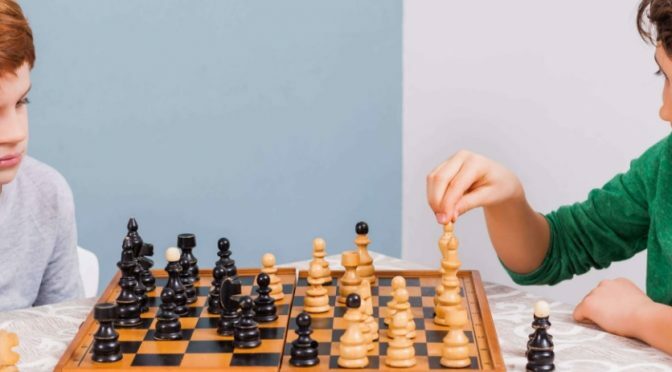 This is why many parents let their children learn to play chess at an early age. However, it is not as easy as it sounds because chess entails techniques and strategies learned through the basics. 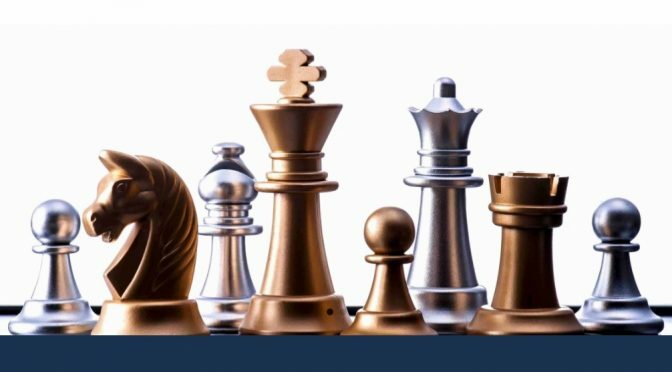 Chess School SA provides chess coaching services to children in Adelaide, SA. This fall the fifth AMS campus, Academy of Math and Science Desert Sky, will open at McDowell & 59th Ave.
Phoenix, AZ, USA — For 16 years, the dedicated team at the Academies of Math and Science has accomplished much from being recognized as the 2016 Arizona Charter School of the Year, to receiving the National Blue Ribbon award, to being the #1 and #2 rated K-8 schools in the area by 5-star GreatSchools parent reviews. This fall the fifth AMS campus, Academy of Math and Science Desert Sky, will open at McDowell & 59th Ave.
AMS Desert Sky will hold a New Student Registration event in partnership with the radio station 103.5 LA TRICOLOR on Saturday, December 16th, 2017 at 5757 W McDowell Rd. The event will run from 10 am to 2 pm, starting with speeches from the founding principal and teachers and followed by lunch, music, and kid-friendly activities. Parents will have the opportunity for one-on-one enrollment consultations with the administrative team while children play on an inflatable obstacle course. With an anticipated attendance of several hundred families, the event will be an excellent opportunity to meet members of the community and talk with AMS staff members and parents. TRICOLOR will hold a raffle, and AMS swag will be given to all attendees, as well as polos for all students registered on-site. The Academies of Math & Science is a tuition-free, high-performing charter school network founded in 2000, with four existing campuses in the state of Arizona. Curriculum includes STEM and programming, foreign languages such as Mandarin and Russian, and music and arts including poetry, piano, and guitar. Free tutoring, affordable extended care, and numerous sports programs are offered as well. Lisa Graham Keegan, Executive Director of A for Arizona, called AMS “the leader of the pack” in creating high-quality schools, and praised AMS’ academic gains and performance levels, saying she believes “that AMS will be a school that makes Arizona famous for this kind of quality.” The construction of AMS Desert Sky is enabled by the Arizona State Credit Enhancement Program. For more information and to register for the December 16th event, please visit http://www.amscharters.org/desertsky or call 623-242-2597. DREAM is a situational awareness mobile application intended for a variety of use cases, one being a group locator. Dallas, TX, USA — It is every parent’s best and worst day when they send their college student to study abroad. They beam with pride that their child can experience the richness of a new culture; however, that same feeling can be met with high anxiety. Who can match the vigorousness of a parent’s watch when they’re outside of reach? No one. But, technology can. DREAM is a situational awareness mobile application intended for a variety of use cases, one being a group locator. In the instance where students are roaming a new country, eating at new places, and separating for individual interests, it becomes even more important to know where each person is – even if they are only a mile away. VeepWorks is the Dallas-based firm behind the technology. It wasn’t by chance that they met Kara McIntyre, a Mass Communication senior at Midwestern State University, to extend the company’s public safety mission. Kara left for London on July 6, 2017 with her university’s study abroad program. Away from the familiarity of Wichita Falls, Texas, safety will be more important than ever. In an effort to capitalize on the application’s use while she’s abroad, Kara will be using DREAM to stay connected with her classmates, all the while putting those closest to her at ease. “[The concern is] with our safety and how we can be more aware of our surroundings,” stated Kara. Feedback towards DREAM has been positive and noted as one of the best mobile apps to use in emergency situations. Taking precautions as a student studying abroad demonstrates just one use case. Downloads to date of the DREAM app has multiplied since January 2017 from 5,000 to 40,000 users. For a direct download of the DREAM app, visit: http://www.veepworks.com/download. Want to stay updated about Kara’s experience using DREAM abroad? Follow her journey on http://www.thewichitan.com. Who do you know will benefit from the DREAM app? Learn more on http://www.veepworks.com, visit their Facebook http://www.facebook.com/veepworks, or engage @VeepWorks on Twitter. New Partnership Helps BSc, MSc and PhD Research Students Perform Biomolecular Research in Nigerian Universities. Lagos, Nigeria — African Biosciences Ltd. today announced a partnership with Nigerian Institute of Animal Science (NIAS) to provide access to services of ABL. This includes a launch the first ever all-in-one research packages for the Nigerian academic bioscience research community. African Biosciences Ltd. Research Project Package (ABL-RPP) provides a convenient package for molecular biology-oriented research projects and come with flat rate pricing directed at BSc, MSc and PhD students interested in serious and meaningful biomolecular research in plants, animals, humans and microbes. The packages provide project design service, one-stop access to reagents and supplies, lab-for-rent services where student performs bench work in our lab, contract research services where the company performs bench work, provision of up-to-date literature, and basic data analysis. This service continues the vision of providing ground-breaking integrated bioscience research services through a unique research-design-to-data analysis platform to achieve bioscience research goals by addressing some key challenges of performing bioscience research in Nigeria. With this new service, African Biosciences Ltd. is positioned to be a key player in the biosciences research market by being a leading service provider to build technical capacity in biomolecular research in Nigeria and soon across Africa. To benefit from flat rate pricing, students must meet some requirements such current enrollment in a degree program at an accredited University or tertiary institution recognized by the relevant authorities, approval by the supervisor or research committee, and meet project scope requirement ranging from 2 weeks of lab work for BSc projects and 1 month for MSc projects to 3 months of lab work for PhD projects. The company offers a payment plan to help with affordability, and package pricing allows groups of students to band together to get additional discounts. Academic departments can get bulk discount for groups of their students who sign up to use ABL-RPP and academic institutions who sign long-term Memoranda of Understanding to access this service receive even deeper discounts for their students. Elaborating on ABL-RPP, Prof. Ikhide Imumorin, Co-founder and CEO of the company explained that eligible projects for flat rate pricing may include techniques from among the following: DNA and RNA extraction, PCR primer design, standard PCR, RT-PCR, Real Time PCR (qPCR), de-novo SNP identification, SNP genotyping, PCR-RFLP, Sanger DNA sequencing, basic bioinformatics and molecular data analysis. Additional charges apply to projects that require ELISA, Western Blots, molecular cloning, protein expression, in-vitro assays, next generation sequencing of DNA and RNA, genome editing, advanced bioinformatics and genome assembly. African Biosciences Ltd. is an innovative life sciences company whose mission and goals are to provide easy access to bioscience research regents and supplies through an e-commerce platform, bioscience research advisory services, bioscience technical training, lab-for-rent and contract research services in state-of-the-art bioscience research laboratories in Nigeria and soon across Africa. It is the first and only vertically integrated biosciences research company providing a unique research design-to-data analysis pipeline to assist customers to achieve their research project goals. For more information, visit us at http://www.africanbio.com. The Nigerian Institute of Animal Science was established by the National Assembly Act No. 26 of 2007 under the Federal Ministry of Agriculture and Rural Development as a regulatory agency for Animal Science practice with powers to regulate all matters pertaining to Animal husbandry in Nigeria. Its mission is the regulation of Animal Husbandry practices for increased profitability to all Stakeholders’ and guarantee improved Animal Husbandry and Production Systems that will embrace environmental sustainability and ensure high quality and quantity of animal proteins to Nigerians. Its activities extend to professional, industry and social mandates. Find more information at http://www.nias.org.ng.